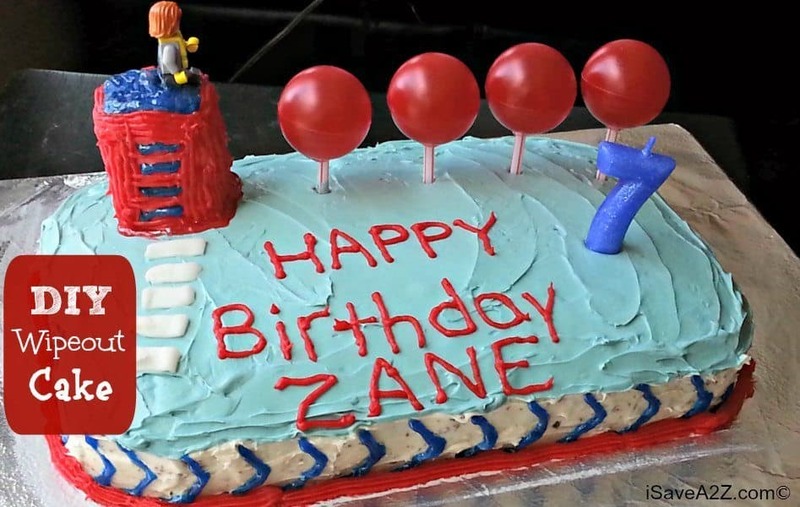 DIY Wipeout Birthday Cake Tutorial! Looks Amazing!! Do you have any Wipeout fans in your home? My son, who recently turned 7, is a HUGE Wipeout fan! He absolutely LOVES that show and can’t get enough of it. He got all kinds of Wipeout themed presents for his birthday like shirts, a lunchbox and a couple of new games. But the big thing he wanted was a Wipeout cake. Now….let me tell you how disappointing it was to find that nobody, anywhere had a cake topper for this cake! I thought for sure I could just buy a simple kit, put it on top of a cake and he would be thrilled. Not the case. So, me apparently trying to be Mom of the Year, decided to make my own. I have to say, I was very proud of myself and how our DIY Wipeout Birthday Cake turned out. All of his friends loved it and he was absolutely amazed when he saw it. A cake! I bought a regular box cake mix and made it myself. You can do it in whatever flavor the birthday boy or girl would like. 4 red ping pong balls – I found a pack at Walmart, but if you can’t find them try THESE. 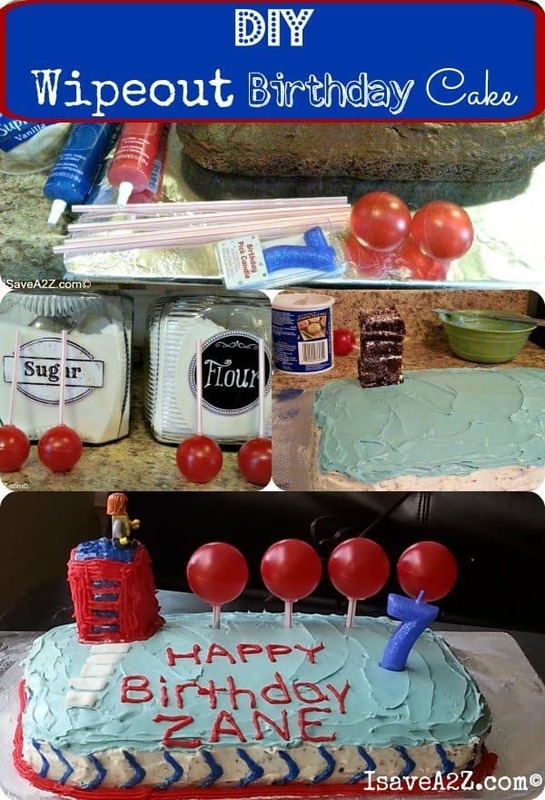 1 red and 1 blue tube of icing, with the tip on the end. Or use tips that you already have. First, you’ll make your cake according to the directions and let it cool completely. I cut the edges of my cake off to make it more square. Plus you can use these edges later to build the tower. Ice the edges around the cake in white icing. I know there is this whole process of crumb coating a cake and I wish I knew more about that or how to do it, but I don’t. 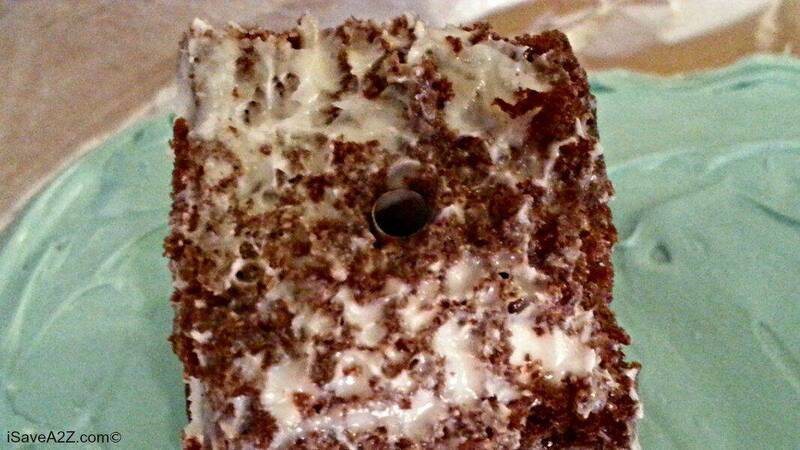 So I do have crumbs in my white icing around the edges, but I did the best I could. In a small bowl, mix 3/4 of a container of white icing with a few drops of blue food coloring. You are trying to get the color of water. So how much coloring you add, is up to you. But start with just a few and add until you get the color you like. Then, ice the top of the cake with your blue icing. Take the edges that you cut off earlier and cut them into small squares. Stack the squares to make a tower. Go ahead and stack them in the place that you will want them on the cake. It will look like this. Once you have it as high as you want and in the place that you want, insert one of the straws through the center pushing it down all the way through the cake. This will help it stay up. Then cut off any excess straw that sticks out of the top of the tower. This is a look at the top of the tower. Now you can make the infamous Big Balls! 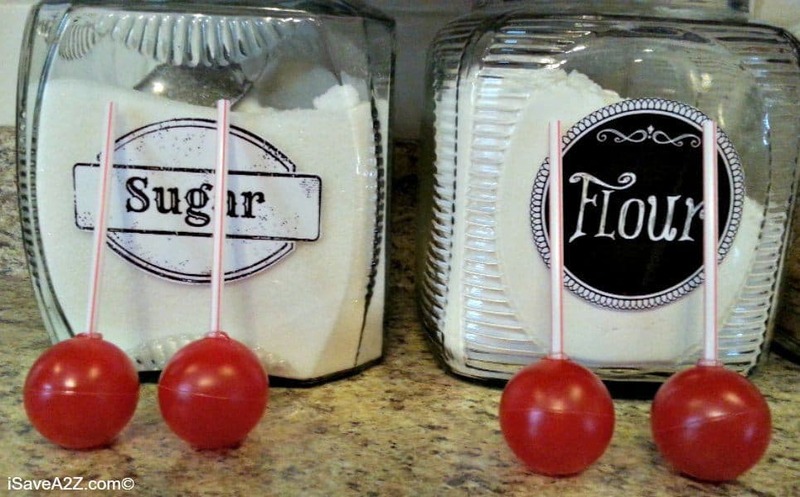 Take the red ping pong balls and hot glue them to the end of a straw. 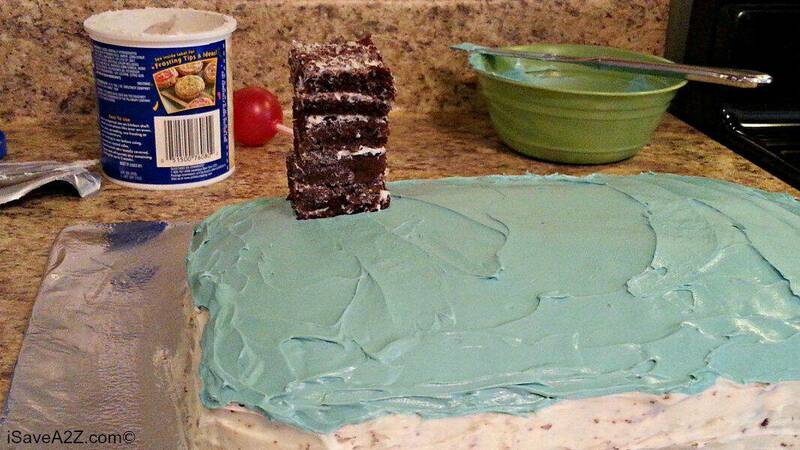 Be sure to let the glue dry completely before trying to place them in the cake. It took us a couple of attempts….but don’t cut the straw until you figure out how high you want it to stick out of the cake. You will want this to look similar in height to your tower. These are our Big Balls drying. Now it’s time to decorate this DIY Wipeout Birthday Cake! 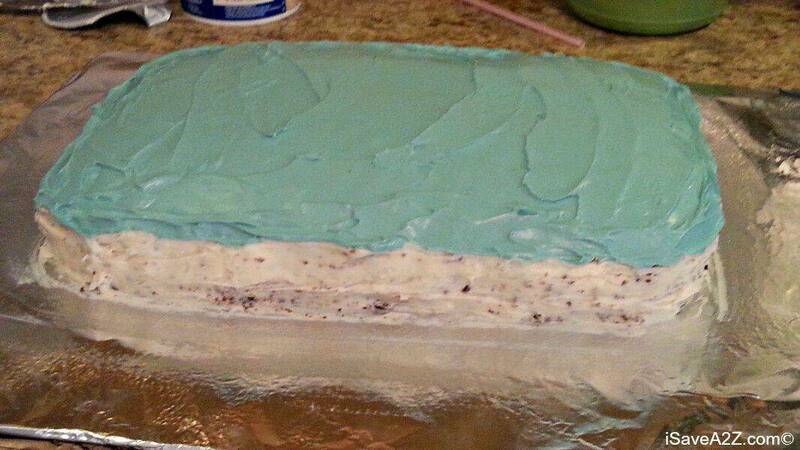 I started by piping blue icing in a chevron shape around the edges of the cake. This is so it will look like the Dreadmill! I also did an edge of red icing around the bottom just to fill in the gap between the cake and the plate. Next, you can decorate your tower, complete with steps and add your Lego man to the top. You’ll need to press him into the tower a little so he doesn’t fall off. Or…you could always hot glue him to one of the Big Balls. Then we added a walkway leading up to the tower, wrote happy birthday on the cake and added our candle! Looking for more DIY and fun crafts?? We’ve got lots of them and you can see all of them HERE! 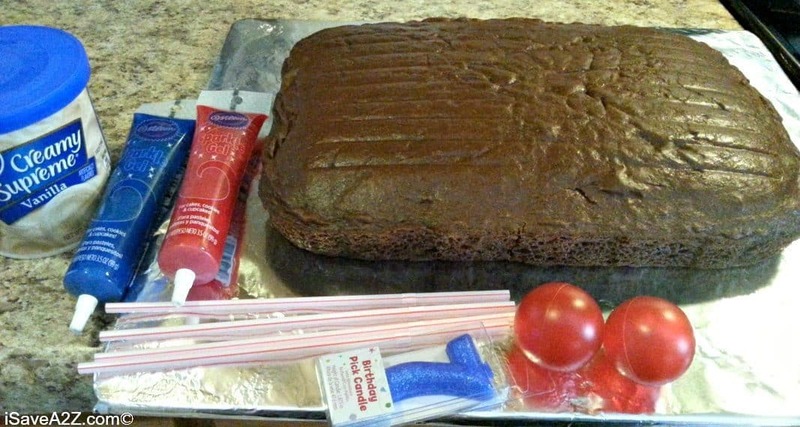 By Jennifer on September 6, 2014 Birthday Cakes, Recipes.